Teaching for Change is honored to be one of the groups presenting in the upcoming BLACK HISTORY 360º 4th Annual Schomburg Center for Research in Black Culture, New York Public Library Summer Education Institute, July 15-19, 2013. During the seminar, teachers and scholars from across the country engage in lectures, workshops, curriculum labs, curator talks and community walks that explore the history and cultures of African Americans and African peoples throughout the Diaspora. This year’s themes include: The Art of Black America, Race & Literacy Education, The American Abolitionist Movement, Civil Rights Studies: Teaching 1963 and 1964, Afro-Latin Studies: East Harlem, Africans in India, and more. 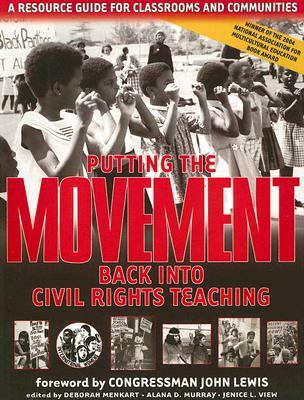 Teaching for Change’s presentation will be: “Teaching the Movement: Lessons from 1963 and 1964.” Other presenters include: Dr. Khalil Gibran Muhammad and Dr. Yohuru Williams, an adviser to the Teaching for Change publication, Putting the Movement Back into Civil Rights Teaching.